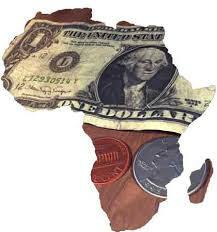 Much hope is placed on foreign direct investment to deliver development capital for African countries. Yet FDIs are part of the global financial capitalist system, which maintains and reproduces inequality and keeps African states dependent on Western countries and financial institutions. Africa’s political leaders are under illusion to believe that foreign direct investments (FDIs) will get them out of their development crisis. This is not to dismiss FDIs but to provide a framework for an analytical and critical understanding of ‘capital’, how it is generated, and what its real function is. I am not breaking new ground in stating that capital is simply savings of the past used for production along with other factors of production such as land, labour and enterprise. It is not the same thing as money. Essentially, money is a system of credits and debts – two sides of an accountant’s ledger. You create debts as you create credit. Capital, on the other hand, is money used to add value to production. Part of this added value goes to wages, part goes to restore wasted machinery and natural resources, but a good part goes to profit accumulation. In our times, Capitalism has reached a stage of what some call ‘financialised capitalism’ where finance is privileged over production, everything is collateralised and securitised, and local and national markets are destroyed to the benefit of a couple of hundred global corporations and banks. The world has become more unequal over the last 50 years than over the preceding one thousand. The 2011 study by the Organisation for Economic Co-operation and Development (OECD) Divided we Stand: Why Inequality Keeps Rising revealed that globally the rich-poor gap has widened in the last decade. Between nations this is clearly evident. But even within advanced countries – including the ‘egalitarian’ states such as Germany, Denmark and Sweden – the rich-poor income and welfare gap is growing. What the study does not say is that there is no possibility of ‘distributive solution’ within the present system, which is structurally engineered to produce inequality. The political and social forces, even in the West, are weakening in relation to the power of global corporations and a global bankocracy. In this context, the role of the so-called ‘development aid’ is totally misunderstood or deliberately misrepresented. Aid is corruption. Why? Because it corrupts government policy. In return for ‘aid’ governments in Africa are obliged to surrender policy space to the ‘donors’ and the IMF. What can be more corrupt than that? Aid does something else besides corrupting democratic good governance. It creates space for foreign direct investments (FDIs). FDIs are a package comprising generally of money-capital (or a credit line), production or marketing knowhow and technology. FDIs don’t just drop from the sky; you have to negotiate the terms with the owners of capital. They are usually big corporations, banks including the World Bank, who come to negotiate with you with a phalanx of financial and legal experts. Negotiations can take months, even years. A strong country with a huge domestic market, such as China, can use its market power to negotiate a useful FDI package. But Africa is nowhere near China in negotiating such deals. Most of them are hostages to the global corporate owners of capital and technology. The challenges to unpackage FDIs are formidable. Global corporations do not act alone. They bring the power of their mega-states to back up their negotiations. Investments are generally made within the framework of Bilateral Investment Treaties (BITs). It is now widely acknowledged, even in government circles, that BITs are an exercise in undermining the sovereignty of the capital-receiving countries. BITs invariably provide for extra-territorial rights for the owners of capital, including, typically, protection from expropriation; free transfer of exorbitant profits and royalties; and litigation under the jurisdiction of either the capital-exporting countries or international arbitration. At the time of writing, Uganda is being subjected to immense pressure by the U.S. government to sign a BIT. If signed, it will effectively undermine the sovereign rights of the people of Uganda. What, then, is the Way Forward? There are three possible ways out of this kleptocratic capitalist quagmire. One is at the global level; the second at the level of the relations between Africa and the rich developed countries; and the third at the local, grassroots level of ordinary people. At the global level, it should be clear to all but the most dogmatic capitalist ideologue that the structural redistribution for global justice requires systemic transformation. Legal and institutional reform is insufficient, even misguided. Reform within the existing system can never achieve more than marginal redistribution, since structural and social (class) inequality is intrinsic to and necessary for the survival of the existing order. Hence the whole notion of investment needs to be redefined, away from the capitalist market logic. There is a seriously flawed logic in the mainstream notion that Africa suffers from a ‘savings gap’, which must be filled by aid or investments from the West. The reality is that Africa does have massive savings. But there are various ways in which savings are drained away – among them, for example, transfer pricing by the multinationals, corruption by state and corporate officials, and other so-called illicit financial flows (IFF). These lead to little, or even negative, domestic saving in Africa. A deeper, real-life analysis should lead to the conclusion that instead of looking for aid and foreign capital, Africa should focus on plugging this hole in its savings bucket. Finally, at the local or community level, ordinary people in the long run have to make a conscious effort to innovate ways and means of decoupling from the market-based iniquitous value system. Decoupling is not the same as autarchy. Autarchy is neither possible nor desirable. On the other hand, globalisation is also not inevitable or desirable. At the heart of the contemporary civilizational crisis is the reductionist logic that values everything in terms of money. Everything, including the dignity of the individual – especially vulnerable women and children – is subject to the ‘law of value’. Everything is commoditised. However, in the interspaces of this globalised system there are heroic efforts by some communities to distance themselves from the system. These include innovative approaches, including production of goods and services based on exchanges without involving money. Also, where money is needed as a medium of exchange, communities have created ‘communal money’ (a kind of labour voucher system) that is delinked from national currencies, which are notorious, especially in our times, to fluctuations and speculations. Conclusion: Where is the Problem? The problem is at two levels – one at the structural level and the other at the level of political leadership. The first is primarily economic, the second is primarily political or to use the currently fashionable term at the ‘governance’ level. At the structural level, the problem stems from the global deformation of the capitalist system. In some of the newly industrialising countries of the South – such as China, India, Brazil and Turkey – capitalism is still substantially productive and still in its early stages. They continue to depend on technology and knowhow protected in the West by intellectual property monopoly rights. But capitalism has no future in Africa. Despite bold efforts to ‘Africanise’ capitalism in some countries – such as South Africa, Kenya and Nigeria – these efforts over the last fifty years have largely failed. Admittedly, there are a couple of hundred multi-millionaire African crypto-capitalists with substantial control over some productive enterprises that operate nationally, regionally and even globally. But the rest of the economies of Africa are dominated by global corporations – especially in the mining, commodities, finance and service sectors. The post-1980s liberalisation has decimated what little industrialisation took place in the preceding twenty years. The much vaunted ‘growth’ rates in Africa of 5-10 per cent is a conceptual and statistical trick played by global institutions such as the IMF and the World Bank and the ruling elites in Africa. But if capitalism has no future, socialism is a distant goal. It is going to be a long march. Self-reliance and not aid or FDIs is the way forward. And here is where the question of democratic governance and correct political leadership becomes a critical factor. Some of Africa’s past leaders, such as Julius Nyerere, attempted to innovate original approaches to Socialism, but they have been vilified by the dogmatic ‘Marxist’ left, mainly in the West but also in Africa. The leadership question therefore is critical.